Stable processes, increased productivity and quality, improved health and safety and environmental protection – this is what coolants from Oemeta stand for. The neat oils from the HYCUT and OEMETOL product groups are based of premium base oils and innovative, high-performance additives. They are designed for demanding machining operations and are compatible with a wide range of materials. 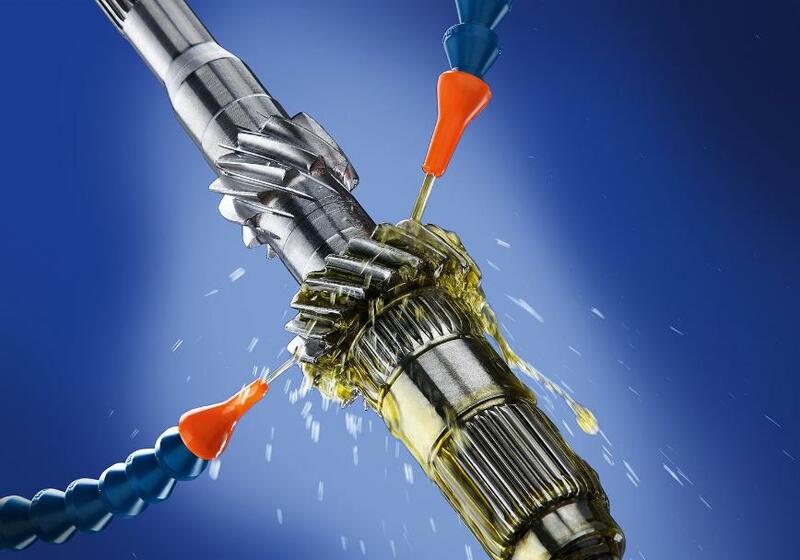 The excellent lubricity ensures low tool wear and high cutting speeds. Outstanding washing action ensures cleaner parts and machines. These low-odour and low-emission products contain no zinc, heavy metals or chlorine. In addition, HYCUT neat oils are made from renewable resources and also biodegrade quickly. Approvals from a diverse range of well-known customers within the automotive and machine tool industries confirm the process safety of Oemeta’s machining oils. For all users of neat cutting and grinding oils, full implementation of the guidelines for the labelling of mixtures containing mineral oil became obligatory on 1 June 2015. Accordingly, all products with a kinematic viscosity (at 40° C) below 20.5 mm2/s must be labelled with the pictogram GHS08 and the Hazard Statement H304: May be fatal if swallowed and enters airways. These labelling requirements do not affect products based on ester oils. Oemeta has developed OEMETOL 556, a low-viscous and non-labelled cutting and grinding oil, which offers both high performance and best possible occupational safety.